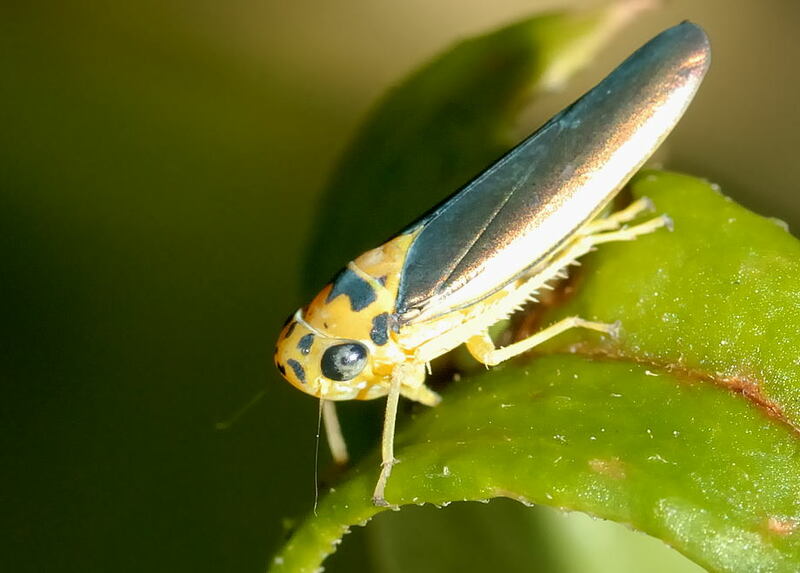 This page contains pictures and information about Leafhoppers in Subfamily Cicadellinae that we found in the Brisbane area, Queensland, Australia. 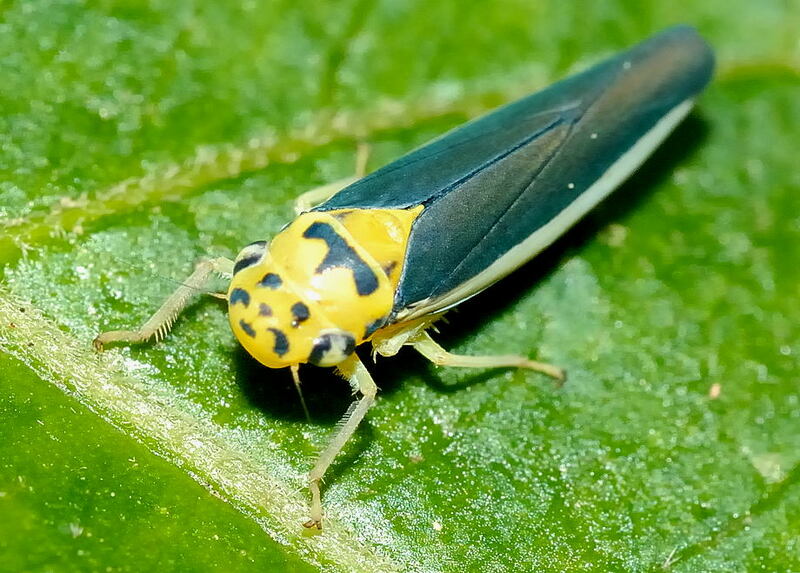 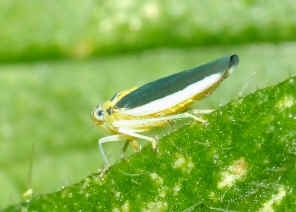 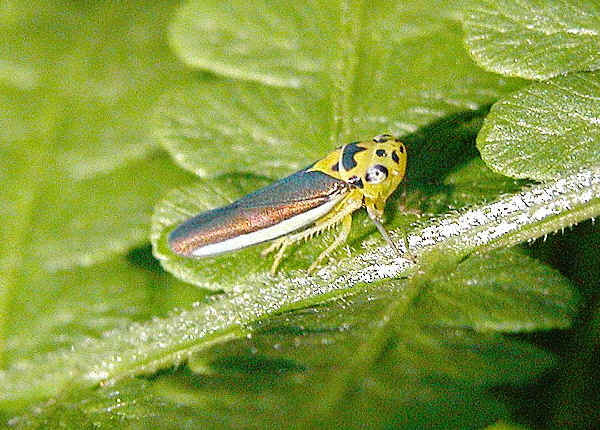 This leafhopper has blue-black front wings and yellow heads with various patterns of black. 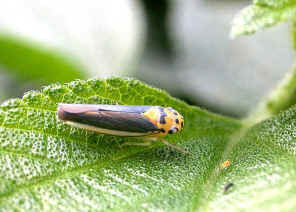 They are common in Yugarapul Park during summer. 1. 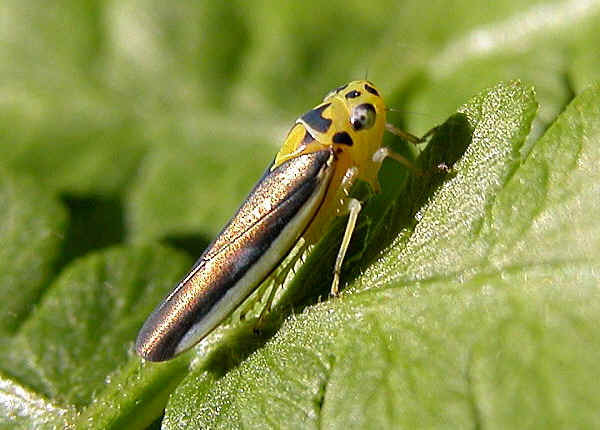 Subfamily Cicadellinae: Tribe Cicadellini - Fletcher, M.J. (2009 and updates). Identification keys and checklists for the leafhoppers, planthoppers and their relatives occurring in Australia and neighbouring areas (Hemiptera: Auchenorrhyncha).